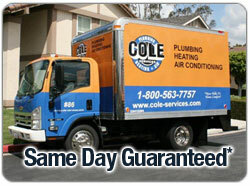 You choose the time that's convenient for you, and Cole Services Heating will be there. 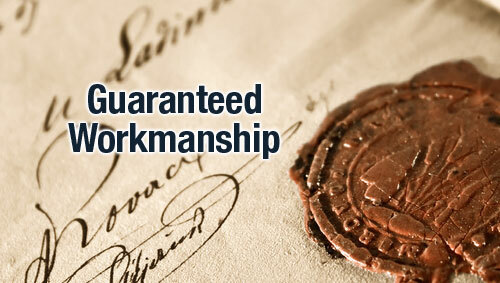 Call for details of our same day guarantee. 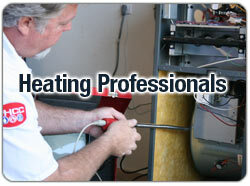 From repairs to new installation estimates, we can help today. 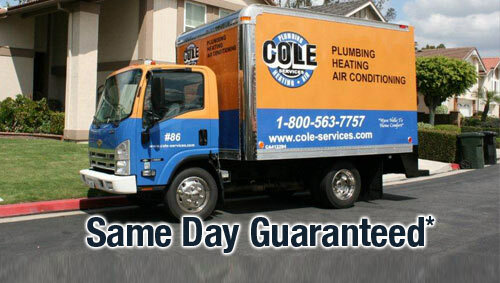 If you're looking for a replacement system, Cole can help with a choice of the best systems on the market from the industry's leading brands. 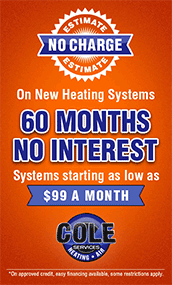 It means great value, great features and warranties, and the on-going energy savings. 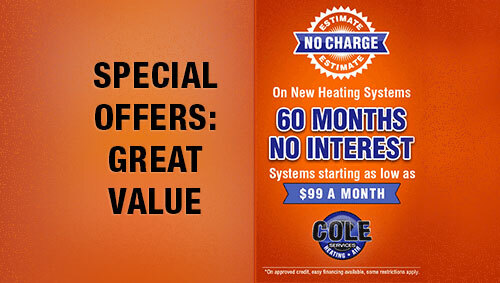 From furnaces to packaged heating and cooling, Cole Services can help you find the perfect system for your home comfort, lifestyle and budget. 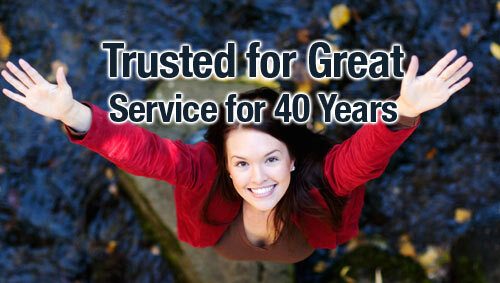 Read more about our replacement systems on this page here, or call us for a free estimate. 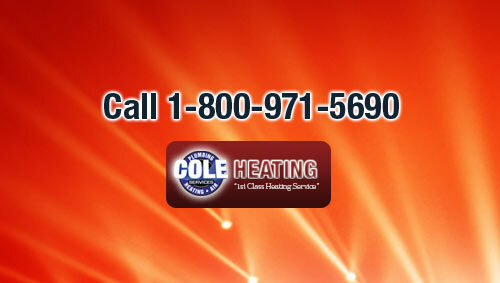 If your furnace or heat pump isn't working, or you are looking for preventative maintenance to keep your system running smoothly, you can count on Cole Services Heating to be there. 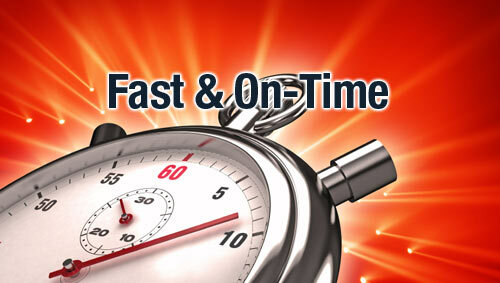 With our GPS monitoring and multiple technician teams on the road, we can dispatch the nearest available team direct to your door 24 hours, 7 days. 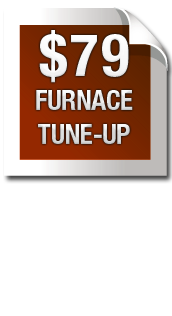 Read more about our repairs on this page here, and on our great value tune-ups on this page here. 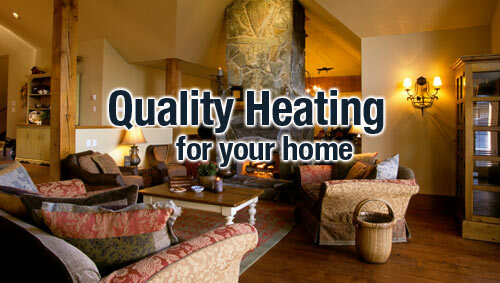 Our highly trained heating experts can take care of all your home comfort needs. 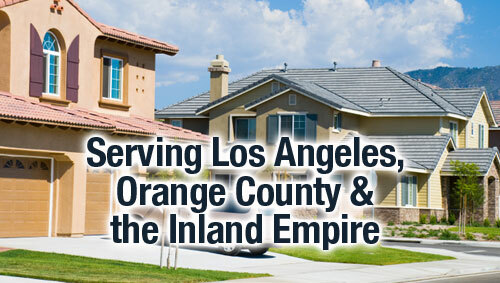 We are experienced, fully licensed, NATE-certified, and fully insured. 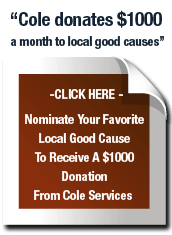 On top of that, your technician will be clean-cut, on-time and will keep your home clean and tidy. 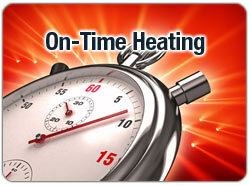 With free estimates on replacement furnaces and heat pumps, and financing options including same as cash for 9 months. 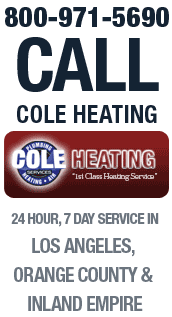 For great service and value for all your heating, home comfort and indoor air quality needs in Los Angeles, Orange County and the Inland Empire, call and speak with Cole Services Heating 24 hours, 7 days.